Eastern Community Legal Centre has a longstanding commitment to addressing family violence and helping those that it affects through innovative and coordinated responses. ECLC also seeks to stop family violence before it occurs by working in partnership to develop and support community prevention and education. If you require support or advice in relation to family violence, please contact ECLC. ECLC provides free and confidential legal advice and assistance to people experiencing or at risk of family violence across the Eastern Metropolitan Region (EMR). 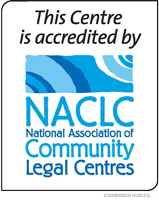 Legal advice is provided at ECLC’s offices and at outreach locations across Melbourne’s east. More detailed assistance may be offered to people who are experiencing vulnerability and disadvantage. ECLC also provides referrals to other specialist legal and community agencies, secondary consultations for service workers and arranges interpreter services as needed. ECLC’s specialist family violence Community Lawyers provide assistance at the Ringwood Magistrates’ Court four days a week, supported by trained volunteer paralegals, as part of the Intervention Order Support Service (IOSS). ECLC works closely with all other agencies and partners involved in the IOSS, including Victoria Legal Aid, Court staff, Victoria Police, EDVOS, EACH Victims Assistance Program, Court Network, Boorndawan Willam Aboriginal Healing Service and others. As part of the IOSS partnership, ECLC produced Steps2Safety – an informative video and collection of multilingual resources for people engaging with the Family Violence Intervention Order process. From 2011-15, ECLC led the Family Violence Integration Project (FVIP), which made significant improvements to the coordination and integration of legal and support services for family violence victims/survivors attending Ringwood Magistrates’ Court. The Royal Commission into Family Violence endorsed a number of key outcomes of the FVIP as recommendations. MABELS provides an early intervention response to family violence by integrating legal help and specialist support services into universal health settings. ECLC launched the first MABELS clinics at selected sites in the Maroondah and Yarra Ranges municipalities in 2015. A specialist family violence Community Lawyer and Specialist Family Violence Advocate work on-site with the health service to provide women with legal advice, safety planning information and referrals in the same appointment. A successful independent evaluation indicated that the MABELS health justice partnership model has the potential to be replicated across multiple regions, utilising services and connections already in existence, to improve the safety and wellbeing of women and their children. Strong partnerships with other specialist services ensure SAGE can provide family violence assistance that is accessible, culturally safe and responsive to the diverse needs of women. In addition to the trauma of family violence, a number of ECLC’s clients endure the stress of debt and bad credit reports, often as the result of a financially abusive partner. Through key partnerships, ECLC hosts family violence financial counsellors on-site as part of an embedded service collaboration. Elder abuse is a form of family violence and is a growing issue for Australia. It can take many forms including physical, sexual, financial, psychological, social and/or neglect. Contributes to strategic advocacy and law reform. ECLC engages in community development activities across the EMR, including providing community legal education workshops, professional development and legal needs research. These activities are tailored to meet the needs of people experiencing or at risk of family violence and the agencies that provide a service to them. 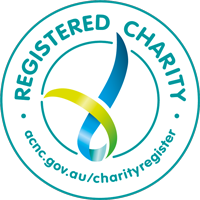 ECLC also addresses family violence across the prevention, early intervention and response continuum as an active member of the Regional Family Violence Partnership and a wide range of other projects. To read ECLC’s submissions, please visit the Law Reform & Policy page. For more information about ECLC’s family violence projects and services, please contact us or download the brochure.